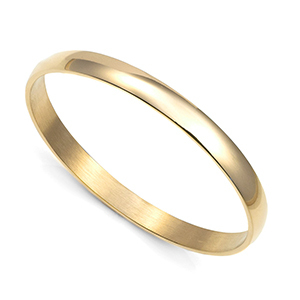 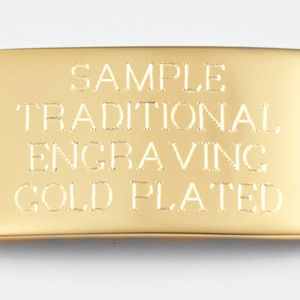 Make a keepsake for her by engraving this shiny, slip-on bangle with a special message. 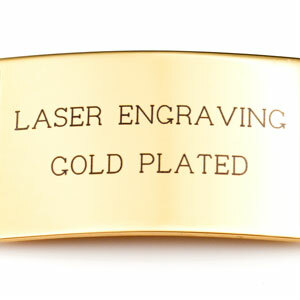 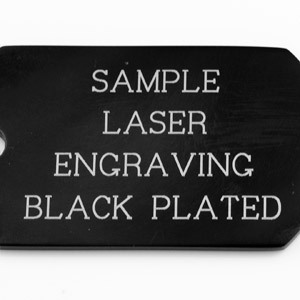 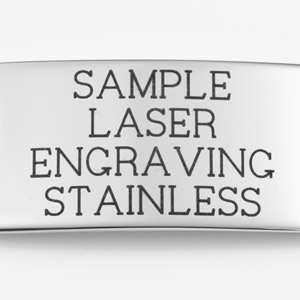 Engraving will appear on the outside or inside in black laser (on one line only). 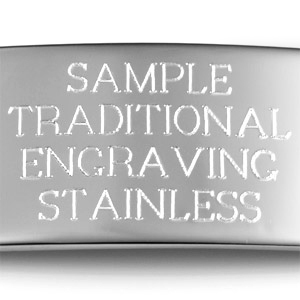 Exterior has a smooth texture and is shiny, while the interior has a brushed texture. 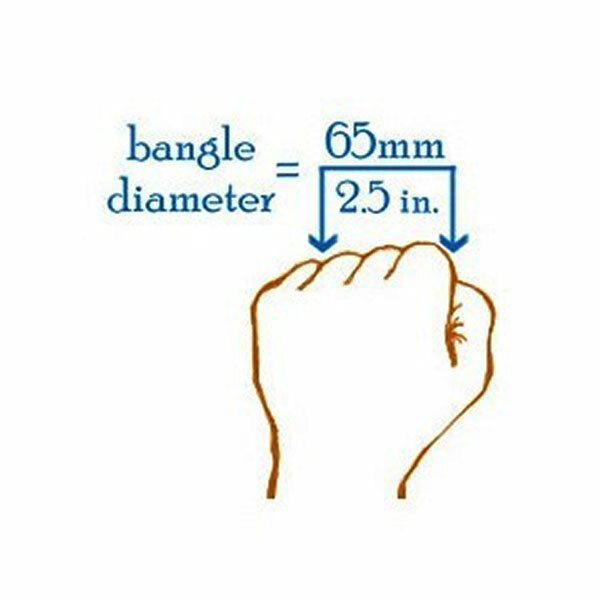 Please review the photos and follow this simple method to measure for proper fit: Make a fist and measure the length from the outside of the first knuckle to the point between the third and fourth knuckle. 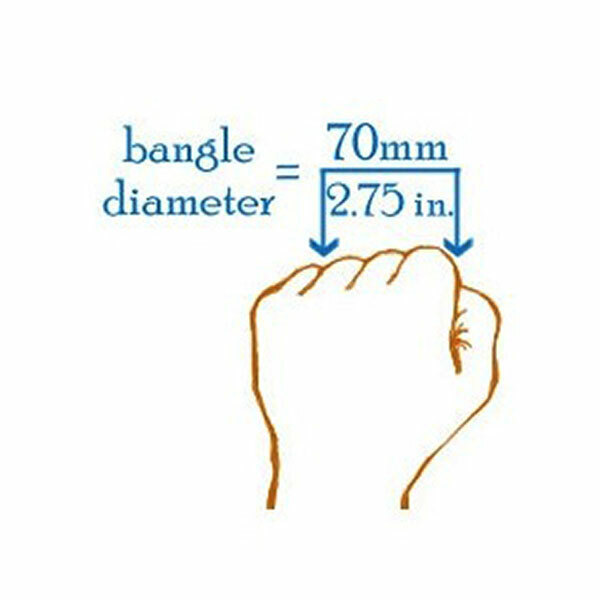 This measurement should equal no more than 60mm or 2 3/8 inches for the 7 1/2 inch bracelet; 65mm or 2 1/2 inches for the 8 inch bracelet; 70mm or 2 3/4 inches for the 8 1/2 inch bracelet. 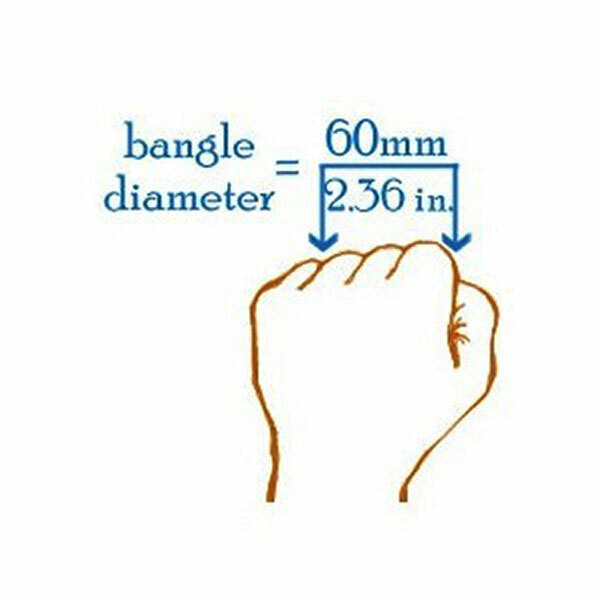 Please do not order bangle bracelet based on wrist size or circumference only, bracelet must be able to fit over hand.